It is my sincere pleasure to address you all here for the first time as your UFI president. Thanks to all of you for placing your trust in me. I will do my best to represent all of you and UFI as a whole, and to work for our wonderful industry in this special and unique role over the next twelve months. During the past year, as incoming president, I took the time to look very closely at our association. I worked with Sergey and Andreas, as well as with Kai and the entire UFI team, on the priorities and on the projects at UFI. As a result of this close and ongoing collaboration, today I feel prepared to share with you my ideas and thoughts for the year ahead. UFI has a clear positioning as the Global Association of the Exhibition Industry. Our association is unique in its role as our industry’s global institution. UFI has grown to be a truly global association with membership in 86 countries, covering all continents, and almost 60 national and regional exhibition associations that are members. We once again experienced the outstanding effects of this unique global network just earlier this month at our Global Congress in Johannesburg, and I want to thank our host, Craig Newman, his team, and everyone involved for making it a Congress to remember! First, concerning UFI’s global reach and membership development: Our association has grown a lot over the last two years. We have seen growth of around 5% both in 2016 and 2017. Today, we have 750+ members, and represent more than 50,000 industry professionals. 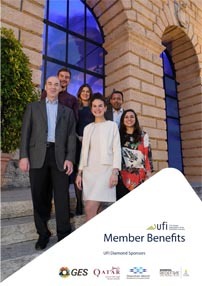 I want to support the continued growth of UFI membership around the world. We expect to see further membership growth in Asia and the Pacific region. 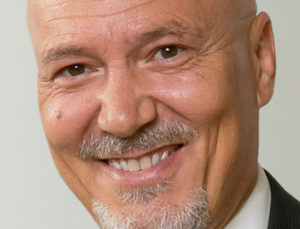 However, in established markets like Italy, there are still some major players who are not yet part of UFI –mainly associations running trade shows. I want to work to bring them into the UFI community. finding new talents among young people and making them aware that our industry is an attractive one in which they can achieve their own ambitions. We can reach out to schools and universities, raise more awareness for the career opportunities that we, as an industry, have to offer. One of the main channels we can use to promote our industry is the Global Exhibitions Day (GED). GED can also be an effective way to reach decision makers in politics and other stakeholder groups. We’ll try to identify the best practices used by our different members and turn them into a “GED guide” that will include specific actions that can be replicated in our respective countries. In addition, with digitisation driving change in our industry, I want to work on tools and processes that help UFI members to validate and guide their digital investments. Also, we currently have data on and measure key metrics around the physical show floor, but we do not specifically measure the ROI of online interactions. I believe it is worth exploring how we can change this. In closing, let me get back to networking, which is a core element of UFI’s activities: UFI’s global roster of events is second to none in our industry, and these events are the most important meetings for our industry leaders of today and tomorrow. 2018 will see the launch of the first-ever UFI Latin-American Conference, in line with the growth of our membership in that region. And a special focus lies on the Global CEO Summit, UFI’s annual curtain raiser for the most senior industry leaders. We are always striving to reinvent this event and I very much look forward to it because the new format for 2018 has been tailored to the feedback from many organiser CEOs in our industry. I look forward to working for all of you, and with all of you, as your president in the coming year.